Acropolis. Acropolis in Greek means "the highest point of the city." The Acropolis is the mountain of 156m (512ft) in the center of Athens. 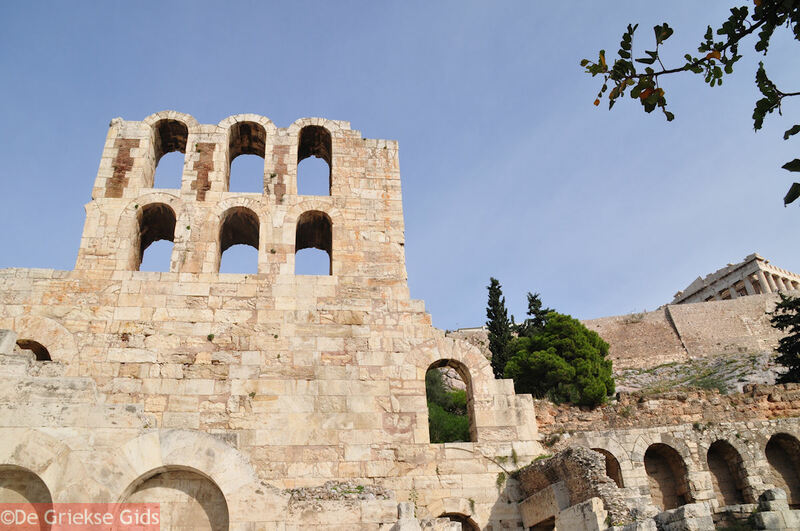 The Acropolis has a flat top and very steep slopes and is seen kilometers from Athens. The Acropolis was also known as the "sacred rock." The patron goddess Athena had her main shrine here. 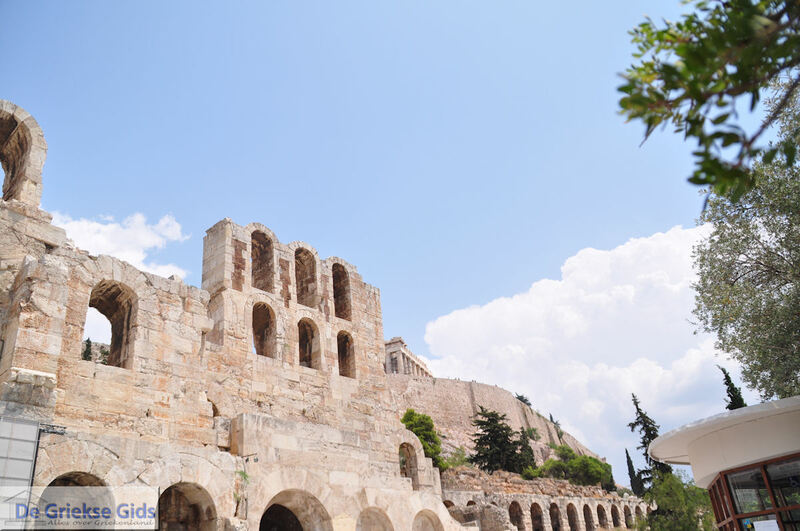 On the Acropolis are a number of sacred temples, all dedicated to different gods, but the main goddess was Athena. 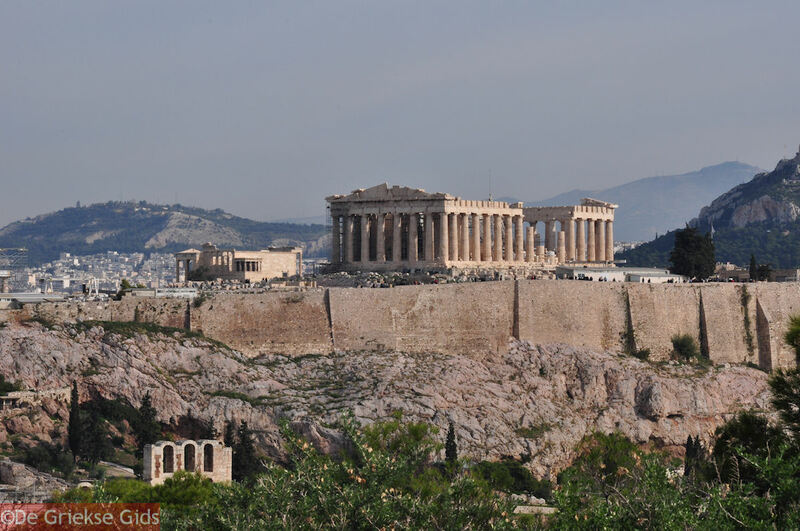 The main buildings on the Acropolis of Athens are the Parthenon, the Nike Temple, the Propylaeën and the Erechtheion. You can climb the Acropolis just from the west. 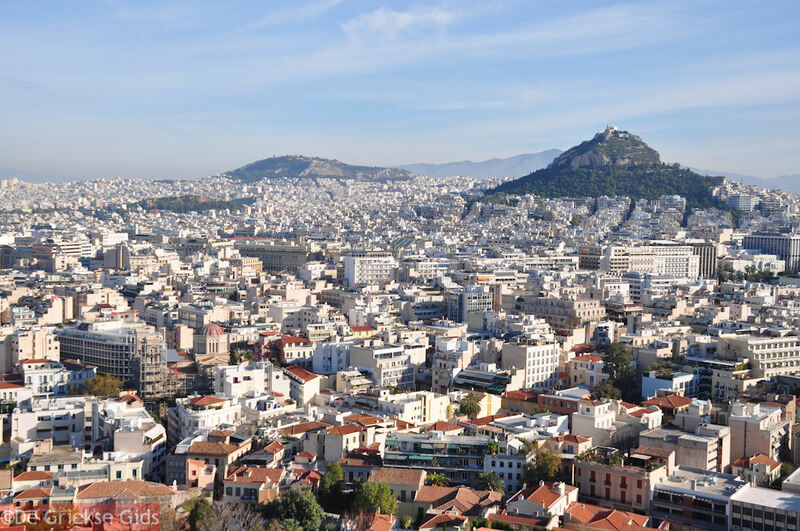 With clear weather you can see from the Acropolis hill to the Saronic islands of Aegina and Salamis. 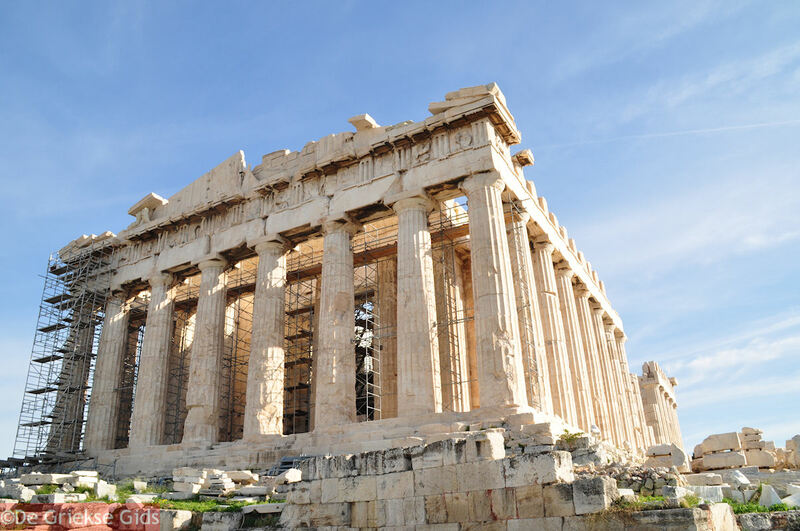 The Parthenon is dedicated to the goddess Pallas Athena. The Parthenon was built in Doric style. This temple was 70 meters (230ft) long, 31 meters (102ft) wide and 20 meters (66ft) high. The first temple was built in the 5th century BC on the Acropolis. It is the symbol par excellence of ancient Greece. The Parthenon, the largest and still impressive building on the Acropolis, was completed in 15 years. (447-432 v. Chr.). The sight of the temple is still beautiful, but has changed dramatically since ancient times. The roof, the walls of the interior and the colorful paintings on the roof and walls have unfortunately disappeared. 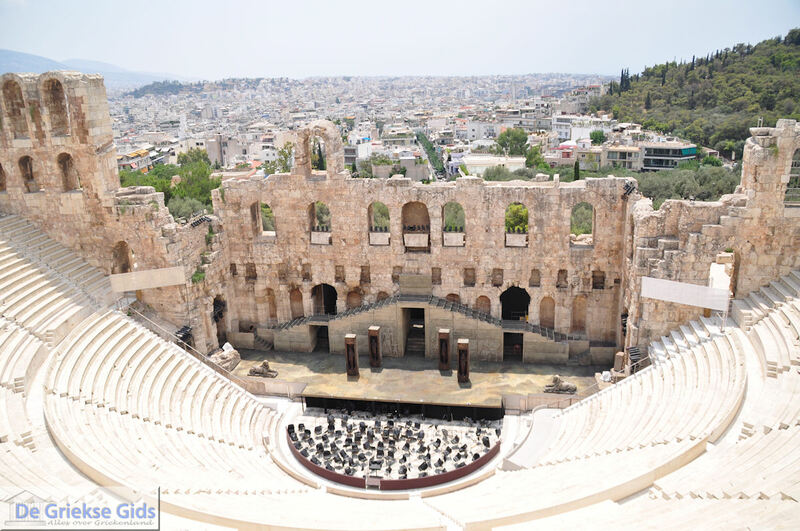 The building was constructed with the aim to show the superiority of the Athenians. Without the ambition of the Athenians the Parthenon would have never become the masterpiece it is. The uniqueness of the Parthenon lies partly in the fact that the ratios were calculated precisely by the architect Phidias. Every dimension uses the ratio 4:9. The architecture of the Athenians demonstrates the greatness of their democracy. No other temple in Greece had until that moment such lavish decorations as the Parthenon. 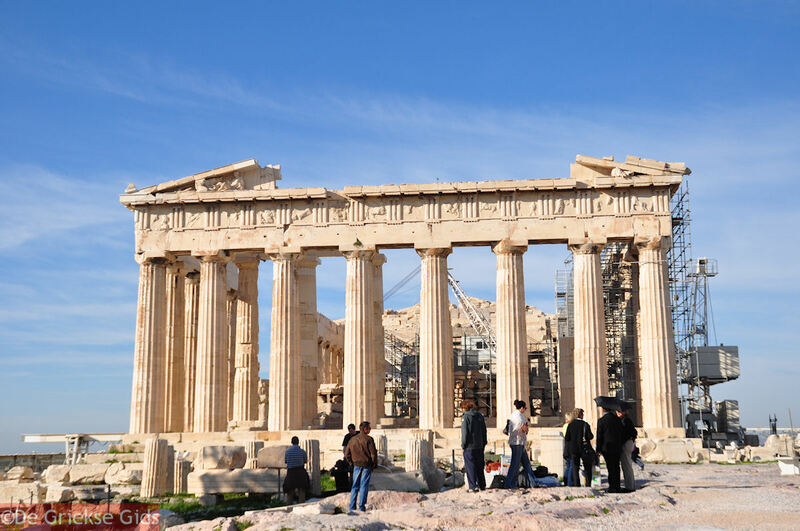 Some parts you can still see today in the Acropolis museum, but many masterpieces from the Parthenon are exhibited today in the British Museum in London. During the Turkish rule in the 19th century they were removed from the Parthenon and shipped to London by Lord Elgin. (former British ambassador to Constantinople / Istanbul in the Ottoman Empire). Some masterpieces were even destroyed right after picking, as they tumbled down in the transport from the Acropolis. 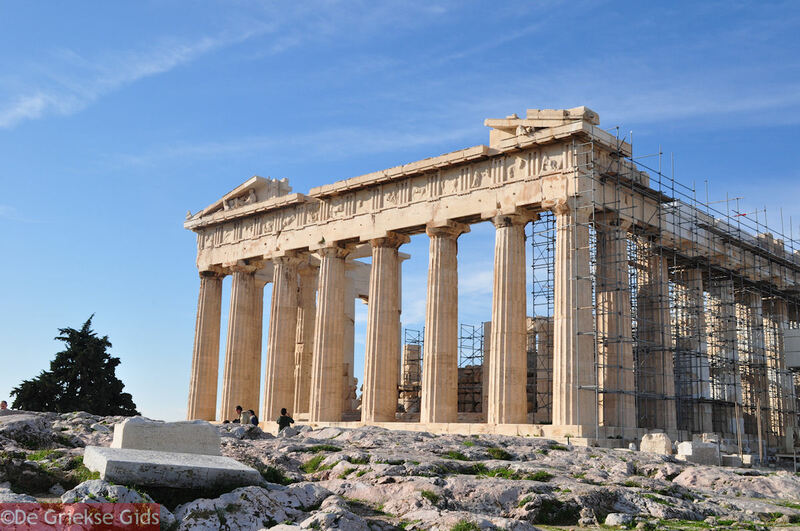 After the Greeks had defeated the Persians (the Persians had destroyed the first temple that was in this place), Pericles decided to honor the goddess Athena Nike and build her a temple. The construction of the Nike temple started in 427 BC and was finished in 424 BC. This Temple of Nike is dedicated to the goddess Athena Nike "Victory." Unlike other buildings on the Acropolis, the Nike temple was actually used as a temple. Here were held ceremonial services around the ancient altar in honor of the goddess Athena Nike. The Temple of Nike is built in Ionian style, with four columns at the front and four columns at the back. The relatively small temple is made of Pentelic marble. On the friezes on three sides is shown the battle between the Greeks and Persians. The other side shows the gods Athena and Zeus. The original friezes are still on the eastern and southern sides, but the western and northern edges have been replaced by copies. The original friezes are on display at the British Museum. The Greeks want the "Elgin Marbles" returned to Greece, but Britain refuses, unfortunately. 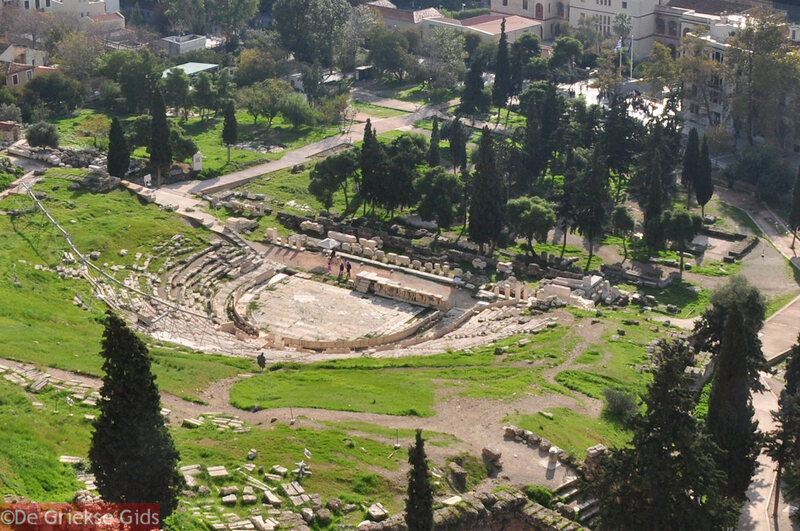 Led by the architect Mnesikles, between 437 and 432 BC, the Athenians built a monumental gateway. The Propylaeum; a covered entrance to the sacred area of ​​the Acropolis consisted of a row of six Doric columns, with perpendicular double row of three Ionic columns. Through there was a way to a hall, that was closed again by six Doric columns, which were parallel to the first row of pillars. The facade of the Propylaeum focused on the Pnyx hill; the meeting place of the, parliament. The wing on the left was used as a resting place for pilgrims and as an exhibition space for paintings. The right wing is much smaller, probably because otherwise it might have encroached on the much older shrines of Artemis and Nike. The construction of the Erchtheion started in 421 BC. It is named after King Erechtheus. The Erechtheion is one of the most important sanctuaries of the Acropolis. Also, the temple grows the olive tree ever bestowed by the goddess Athena to the city. 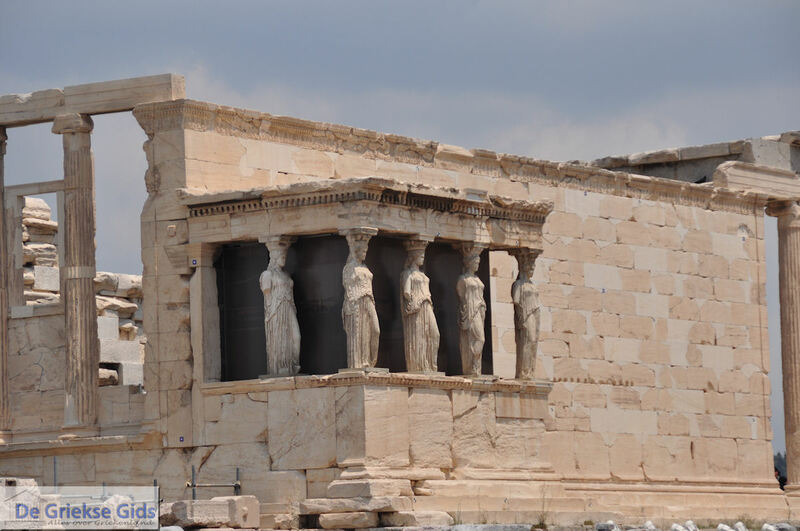 The Erechtheion consists of three parts. In antiquity, the main building (the actual temple) contained two spaces; one room for the ancient cult statue of Athena Polias and an area dedicated to Erechtheus and Poseidon. - The northern hallway led to the second section, the northern hall gave access to the Pandroseion, where, among other things, were an altar to Zeus, the sacred olive tree of Athena and the tomb of King Cecrops. - The southern hall or Caryatide tribune. The six pillars in the shape of female figures. The Caryatids have been replaced by copies, the five originals are in the Acropolis Museum. The sixth is in the British Museum in London. 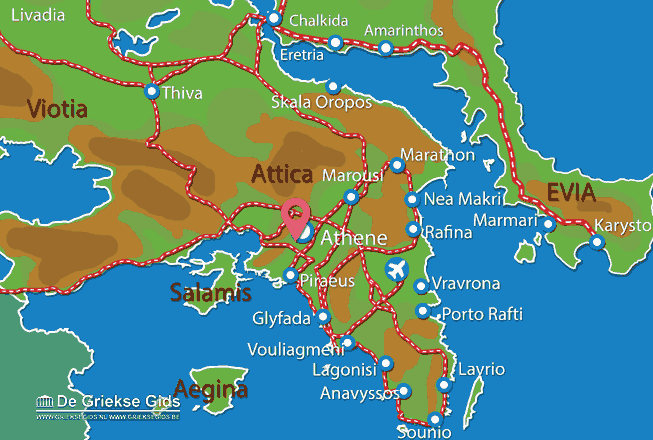 Attica: Where on the map is Acropolis of Athens located?